Anyone looking for an in-depth discussion on what it means to be whole and happy would certainly benefit from reading Chester Litvin’s Life of the Sailor: The Psychology of Who We Are. Litvin creates an easily digestible work on an extremely complex topic. The author comes from, as he terms it, “the Soviet Collective,” and has clearly dedicated much of his career to understanding the psychological effects of radicalization of the human psyche. Litvin goes to great length to help his readers understand why it is that there are always certain specific roles being played out within society, and how those roles are all a part of who we are as human beings. Coming from an oppressive society that fed on reducing individualism, the author sees himself as an adventurer into the psyche where he can begin dialogues between all the different splits in the human psyche in hopes that finding ways to nurture every part of the whole will result in a complete, happy, and satisfied life and self-awareness. Through the use of characterization, the author makes it possible for readers to quickly grasp the concept of a person’s psyche being split into a variety of parts due to both internal and external traumas. There are characters who represent all the various types of splits that one could experience along the road to finding a completed version of themselves, and Litvin expresses the vital role of these characters to create healthy dialogues in order to mend the splits that exist between them. More than just showing his readers that it is possible for a psyche to split into sections that become distant from one another, Litvin goes into great detail to show the methods and concepts that are required to close the gaps that exist within us all. While some may not quite be ready to take on this type of intense personal introspection, the subject matter is still important and interesting in many ways. For example, learning more about the roots of some of our most troubling psychological states, including fear, anger, and others, helps to understand and cope with these types of things whether they are internal or external. 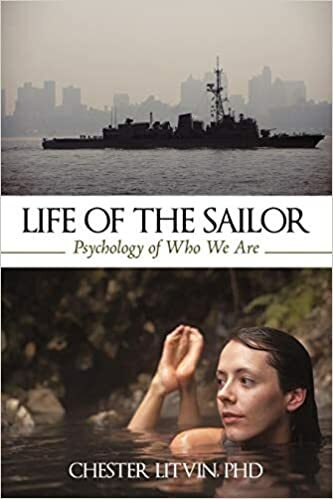 Chester Litvin’s Life of the Sailor: The Psychology of Who We Are is an eye-opening work. Whether the concepts discussed within are new to you or you have studied them before, the author discusses many important aspects of our nature as people, and he does so in a way that can be understood by all. LoveQuest is a dramatic retelling of an ancient Greek myth about Psyche, a mortal woman, and Eros, the god of love. Why did you want to retell this story and what were some new ideas you wanted to introduce? I’ve always loved mythology, from the time I was first exposed to it as a child. As a student of literature, I was aware of how the ancient myths continued to influence art and culture to the present day. There were myths in particular that caught my attention, and, in my early 30s, I was particularly drawn to that of Eros and Psyche. I never imagined a Roman setting, but the romantic, wonderful, and bucolic setting of ancient Greece. To me, the myth of Eros and Psyche comprises all that is romantic. Each of us yearns for a partner who is the ideal of everything we’ve ever dreamed of, but somehow we don’t believe we are worthy of such love. We deceive ourselves by letting others define us. We vacillate and let fear conquer us. The world leads us astray and we fail ourselves and those who love us. To be human is to be like Psyche. I identified with her and all her failings, as well as with her attempts to make reparations and redeem herself. Psyche held her gifts in low esteem, and that was her first mistake. Beauty is a gift, and those who are blessed with it are meant to shine, just as a writer must write and a dancer must dance. Being morbidly influenced by her malignant sisters was another of Psyche’s mistakes. It should be easy to tell a friend from an enemy; people should not let their enemies define them or direct their behavior. Eros has a coming-of-age experience; he takes a path distinct from his mother’s and follows his own destiny. As for Aphrodite, she has to decide whether she should set her child free or protect him from making a grown-up’s mistake. At one point, Psyche has an opportunity to escape her trials and slink back home. Instead of choosing the mediocrity of a safe and easy path, she decides to follow her heart and endure and suffer for a higher objective. The difficult path is the one that gives us a chance to stretch ourselves, excel ourselves, and be better than we would otherwise be. On an elevated level, the myth is the story of the redeeming power of love, and of the soul in search of redemption and perfection. I felt that your characters were well developed and their personalities were distinct. What are some important traits you like your characters to have? I want people to identify with my characters, or at least see in them what they see in others. A character cannot succeed unless he or she connects with the reader. The reader doesn’t have to like the character; it’s only important that the reader perceives the character as alive and real. I don’t want my characters to be too good or too bad. There is risk of falling into parody if they are. My villains, if they can be called villains, are not all bad; they just behave badly. What kind of research did you undertake to ensure you got the mythology right in LoveQuest? The main source for my story is The Age of Fable (1855) by the American writer Thomas Bulfinch (1796 – 1867). This has been a classic and standard text for the Greek myths ever since. I have allowed Bulfinch to provide the framework of my story, but I have attempted to expand upon it, infuse it with other elements of magic and wonder, and, I hope, provide readers with a greater depth of understanding for the lessons the story imparts. I have taken some liberty with Bulfinch’s story of Eros and Psyche. Gaia, the Earth Mother, is an immortal apart from the gods of Olympus. The talking animals are a tribute to C. S. Lewis and Disney, and the intervention of the South and North Winds is my own device, providing a natural way to give Eros allies outside his mother’s influence. The mysterious Dream Lover is a mystical being born of imagination. I have been spending much of my time since the publication of LoveQuest in promoting my books (my historical novel Brief Candles was published in 1983) and sharing my short stories on my website. However, I do have many projects planned and already in development. I am building a narrative around the diary I kept when I was fourteen, filled with the anxieties, vanities, and pain of adolescence. Another project is a dystopia of a class-based society where the tidal wave for change is already churning under the surface of a closed and exclusive world. An overreaching work is a history of late 15th century England during the period popularly known as the Wars of the Roses. I have been studying that period on and off for over 50 years, and friends have encouraged me to collect my research in a nonfiction book. None of these projects is close to completion, and I know by experience that a sudden inspiration could cause me to push something totally unexpected forward. One way or another, I will never stop writing. 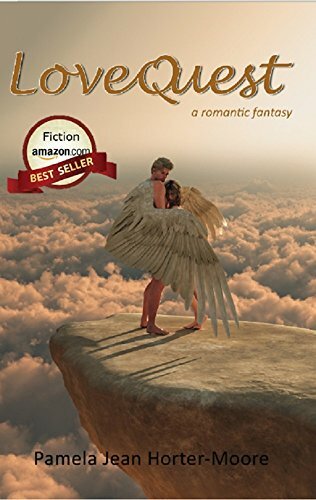 LoveQuest, a romantic fantasy, is a light-hearted retelling of one of the most enduring love stories from ancient Greek mythology: the forbidden passion of Eros, the god of Love, for the mortal woman Psyche. It is ancient Greece, a world of gods, superstition, and magic. The villagers dwelling under the eyes of the jealous and capricious gods on Mount Olympus seek to gain their favor and to uncover the mysteries that only the immortals can know by turning to priests, soothsayers, seers, and fortune-tellers. The oracle of the divine Apollo is one of the most famous of these seers. Although physically nothing more than a pool of water in a cavern, its wisdom is so renown across Greece that many journey far and wide to seek its counsel. Among the pilgrims are the wealthy cloth merchant Pericles, his wife Leena, and their daughters Medea, Tanna, and Psyche. Although Psyche is blessed by Aphrodite, the goddess of Beauty, and is cherished by the people of her village for her loveliness, she cares little for their attention, seeking only the approval of her envious and malicious sisters. Medea and Tanna ridicule the oracle’s prophecy that Psyche will make a “marvelous” marriage to someone “not human,” and use it as another means to torment their sister, driving her to tears. Offended by Psyche’s behavior and not accustomed to being taken for granted, Aphrodite retaliates by asking her son Eros, the god of Love, to punish Psyche with a life of lovelessness. Coming to Psyche and her sisters under a cloak of invisibility, Eros is filled with pity for Psyche but determined to carry out his mother’s wishes. Aphrodite’s plan goes amok when Eros wounds himself with his own arrow carrying out the punishment. He falls in love with the woman his mother hates. Eros must make a decision: Will he do his mother’s bidding and resist the power of love, or will he defy her by setting his own course in pursuit of Psyche’s heart? And, if he develops an elaborate plan to win Psyche, whose help can he enlist? Is love with Psyche possible, and how long can he keep up his deception before his mother discovers him? Compared with Eros, Psyche is a novice at love. Eros can’t approach her as a human suitor would approach a human woman. She too has a decision to make: Should she believe the loving words of a mysterious stranger, or should she believe her sisters? The consequences for Eros and Psyche are dear. Aphrodite’s temper is not something to toy with. She is angry enough with Psyche, but if Psyche should do wrong to her son Eros, there might be no end to the punishment Psyche faces at the hands of the jealous goddess. Psyche must choose between betrayal and fidelity, just as Eros must connive to win her love and the approval of his mother. Both of them must be put to the test in order to find their heart’s desire. 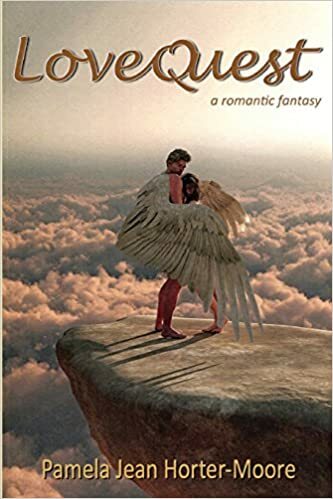 LoveQuest by Pamela Jean Horter-Moore is the story of Psyche, a mortal girl blessed by the goddess Aphrodite with great beauty. She is so lovely, that she receives admirers wherever she goes. When Psyche offends Aphrodite, by seeking the approval of her envious sisters and taking her beauty for granted, Aphrodite decides to take revenge. Using her son, Eros, she attempts to punish Psyche to a loveless life. But things backfire because Eros falls in love with Psyche. Both are torn between their families and their love for one another. They must decide what is most important in life. I am fascinated by Greek mythology with its heroes, monsters and gods, so I knew I was going to love this book before I had even started! This is an epic love story based on an original Greek myth that we know and love, but it is fleshed out with a unique narrative and a fresh take on the characters. Although it is primarily a story of romance, there are obviously fantasy aspects in there–the author excels at writing both genres and combines them expertly. Through a great feat of imagination, Horter-Moore has put a really creative and refreshing twist on what could have been a stale story. Horter-Moore’s prose is a joy to read, it is straightforward whilst being eloquent and descriptive. It flows beautifully throughout with quite a dream-like tone which captures the milieu perfectly. The narrative is based more on internal thoughts and feelings rather than dialogue, which gives us great insight and understanding of the characters motives and desires. When there is dialogue, it is actually quite modern, for instance, “Why do we have to spend every vacation here?” whined Tanna.“That oracle never has anything interesting to say…”Although this could have felt inauthentic, I actually thought that it was a great way of making the tale more accessible and up to date. The author particularly excels at writing place, and the setting of ancient Greece is magically conjured; it is a world full of gods, superstition, soothsayers, seers and magic. The prose is extremely evocative of scenery and I felt transported to the slopes of Mount Olympus. The characters really come alive on the page, and they are portrayed with such sensitivity- -the author isn’t afraid of illustrating their flaws and complexities. The relationship between the sisters Medea, Tanna and Psyche are particularly well portrayed, illustrating all of the complicated feelings of jealousy and yearning for approval. The love between Eros, who is the perfect mate, and Psyche, who is deeply imperfect, feels very genuine, and I felt completely invested in their relationship. Although this is a story of Gods and mortals living in a time unlike our own, the narrative reminds us that ultimately any human heart can suffer and love in universal ways. This is a great read for any lover of myth, fantasy or romance, and I look forward to more from this author!